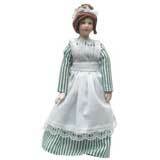 This meticulously dressed and accessorized porcelain doll has a beautiful handpainted face. 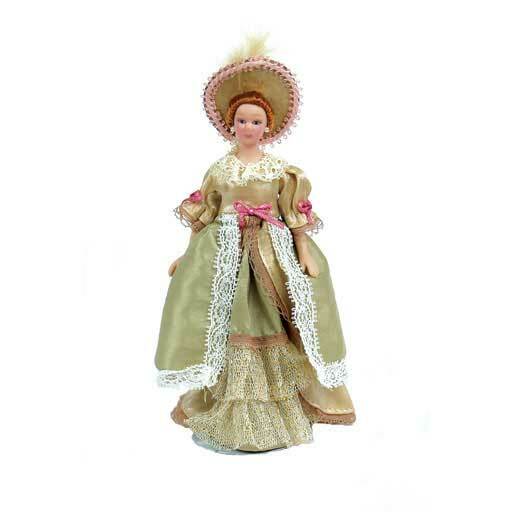 Her elaborate clothing is not removable and her shoes are painted on. Her arms and legs are posable, but her elbows and knees do not bend. The Natalie doll is standing with the uses of #85006 Metal Doll Stands. Clothing on this doll is exquisite, the actual doll is prettier, than the picture. I got this doll today and it is gorgeous and very high quality. Face is perfectly done, painted very well. Great buy for the price. Usually dolls at this price have arms and clothing which are out of portion. Clothing fit good and body is proporationed right.